Looking for an aluminium pool fence, or perhaps for your deck, property or pathway? Whether you have a clear idea of how you’d like your new aluminium fence to look, or you’d appreciate some expert guidance, our talented and experienced fencing team will ensure that the finished result meets your needs perfectly, for you to enjoy and add value to your home. You can rely on the quality of the products we supply – higher quality than those sold by hardware stores, yet still good value. Each project is well scoped out, then project managed by us – ensuring your fence is installed in a timely manner. Easily incorporate any of our other services within your project – gates, decking, landscaping, property maintenance etc. 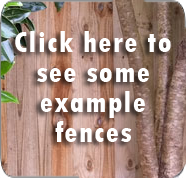 Why use Auckland Fences for your aluminium fence? In addition, we will ensure that your new fence meets council regulations and has a PS3 supplier’s sign-off if it is needed by the council. It starts with us understanding your needs and expectations. We will then guide you through the various options, including: design, height, length, number of corners, height transitions, post locations, fittings, gates, latches, colour and more.